Enter the room, rest your body, and breath a deep breath of relief. 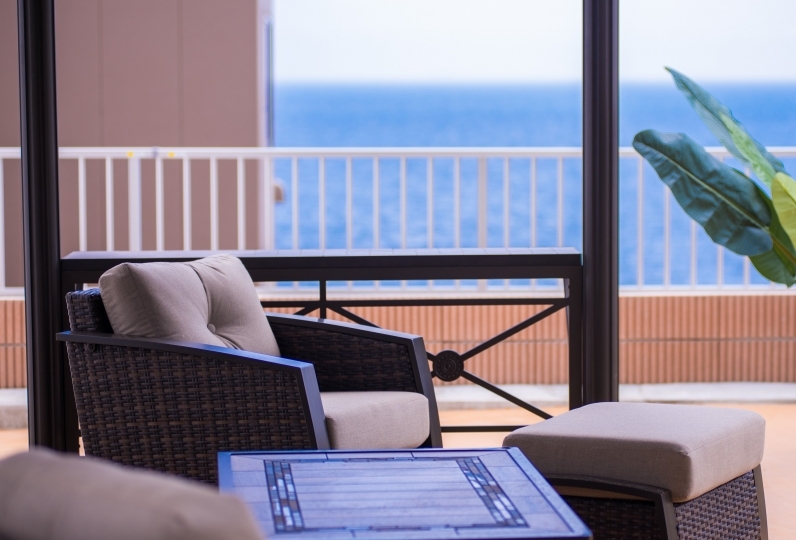 Each of the relaxing rooms boasts a different design and scenery. Every guest room has a personal hot-natural outdoor bath that can be enjoyed. 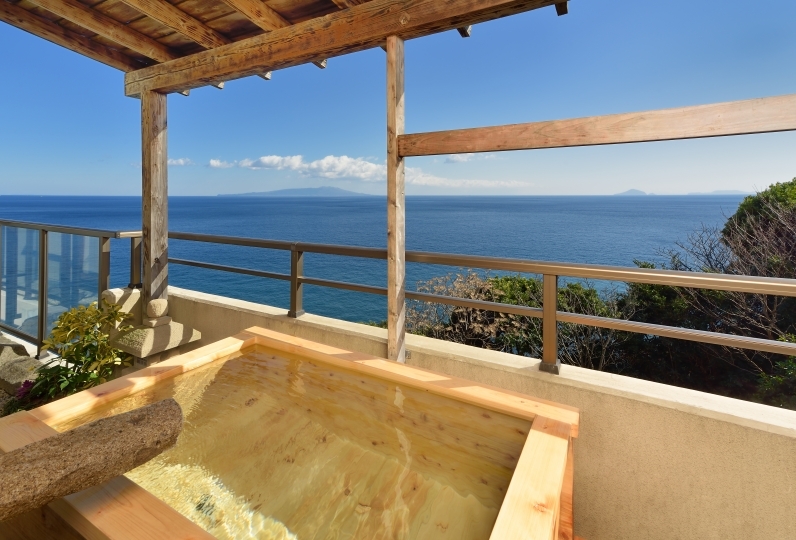 Beyond the fragrant steam of the baths stretches the bay of Izu. The big bath has a wonderful collection of pottery from master-potter Tomita Hiroyuki. The reflection of the water breaks the light, staging a fantastical world, a space in which you can stretch your body and feel fully cured. When you get out of the bath, still feeling its warmth, dinner time has come. The meal is a meal fit for an emperor, a collection of vivid dishes. The secret to its deliciousness lies in the careful selection of fresh seafood, local recipes, and the simple use of water and salts. We have a supply of fresh fish from the town every day caught by local fishermen in Sagami Bay, the very sea that stretches in front of your eyes. Vegetables and mushrooms from the area accompanied by rice from Niigata are served. 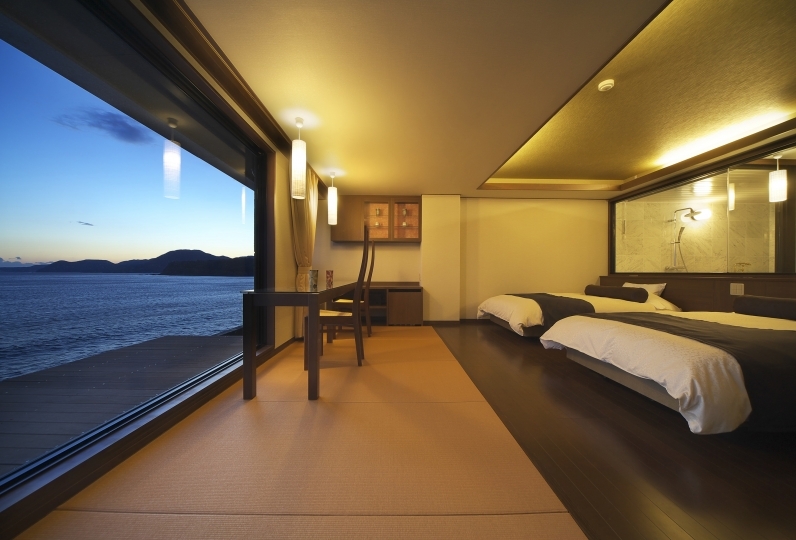 Onsen, the spirit of the sea and the mountains, guest rooms filled with harmony. : All this provides our guests with a time of relief . 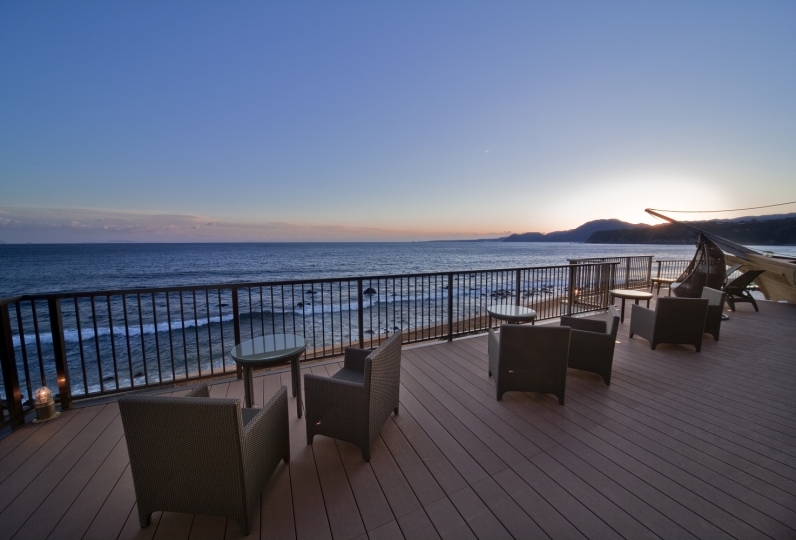 Let your heart take a deep breath while looking out over the sea of Izu from your room. The dinner is very nice! Sashimi is so fresh! The room is clean and the hot spring is nice! We love it! My room 203 is perfect for us. 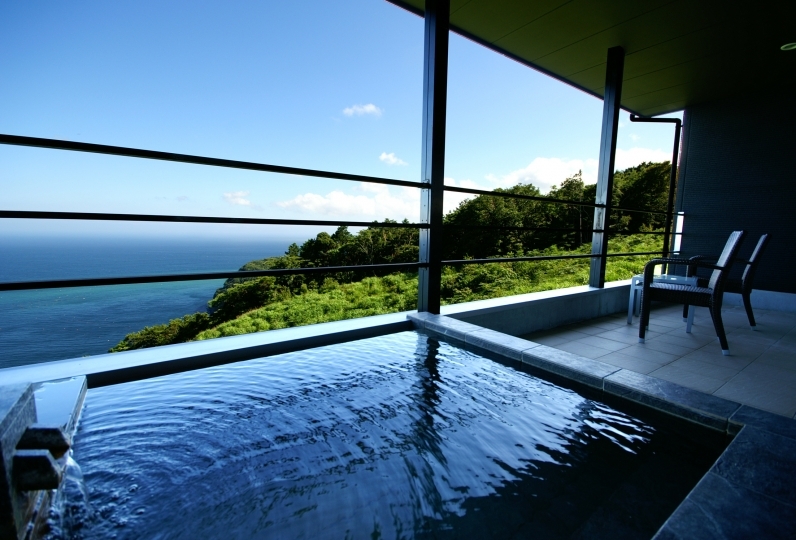 It is large and good view for Izu sea during hot spring. Both breakfast and dinner are hi... Read more My room 203 is perfect for us. 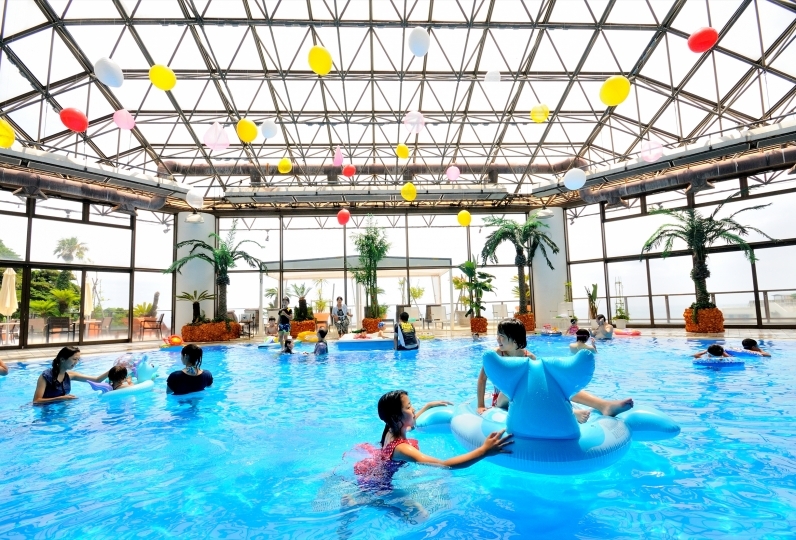 It is large and good view for Izu sea during hot spring. Both breakfast and dinner are high quality and very were very full everyday. My room 203 is perfect for us. 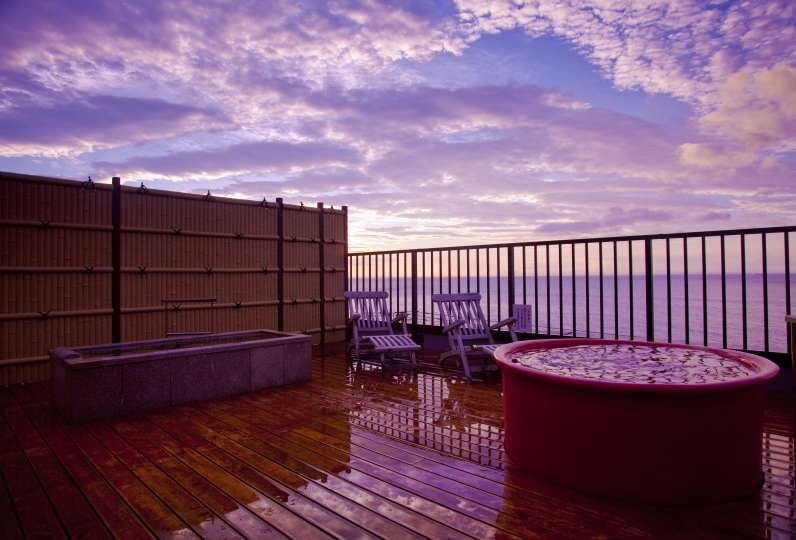 It is large and good view for Izu sea during hot spring. Both breakfast and dinner are high quality and very were very full everyday. 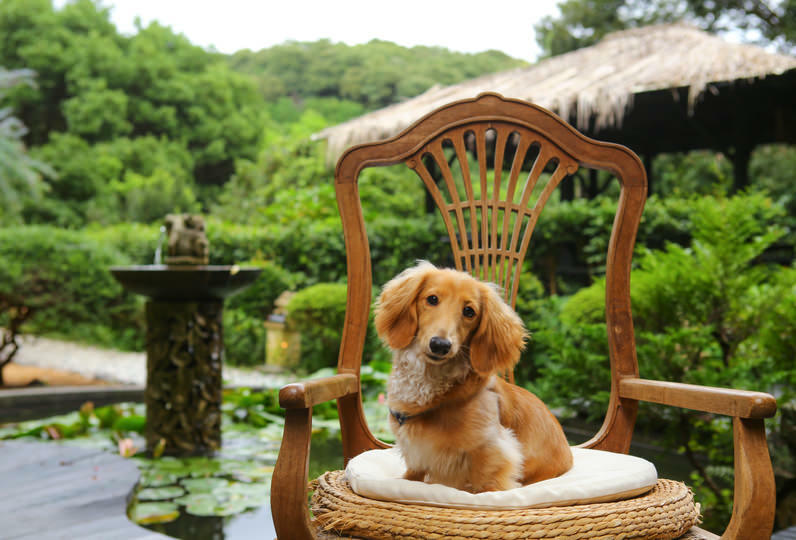 We really enjoy our stay in Isaribi! The room, food, view and onsen was great! And professional service. You made our tr... Read more We really enjoy our stay in Isaribi! The room, food, view and onsen was great! And professional service. You made our trip perfect! We really enjoy our stay in Isaribi! The room, food, view and onsen was great! And professional service. You made our trip perfect! We draw water for the baths from Ido onsen 600m underground from the hotel. The iron in the water gives it a slightly clouded appearance and will leave your skin soft to the touch for a long time after bathing. Depending on the room, there is a fragrant bath made of cypress wood, or a beautiful bad from cobblestone. The big bath has a wonderful collection of pottery from master-potter Tomita Hiroyuki. The reflection of the water breaks the light in the room while you can faintly see a beautiful mural trough the steam of the onsen. You can stretch completely in the wide bath, allowing your body to be fully cured by the water. From 9:00pm the bath becomes privately rentable for customers who would wish to do so. If you advance along the bamboo fence from the public bath, you will find a public open-air bath. 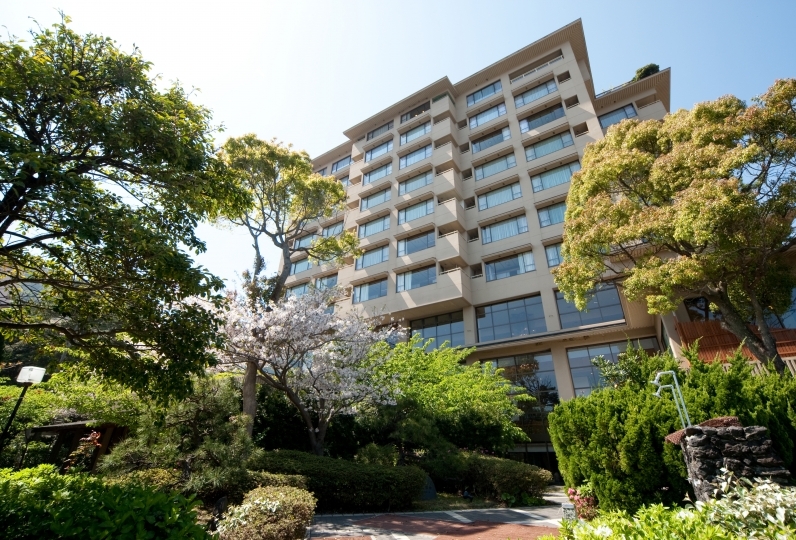 Surrounded by trees and looking out over the ocean, you can truly appreciate and enjoy the well relaxing view. A professional massage-treatment with aroma's. There are three courses available. We have a local massage therapist that will come to your room after your body has loosened up from the onsen and take care of any muscle pains. - We have several items for rent that can make your stay at Isaribi more pleasant such as iPod speakers, DVD-player, Yoga mat, and DVD, etc. - The price does not include tax (¥150) for dinner. *There is a transportation-service available from the station, please contact us in advance.